he desert may be largely desolate, but SIIA’s 37th annual National Conference & Expo in Phoenix was teeming with lively discussion at the JW Marriott Phoenix Desert Ridge Resort & Spa. 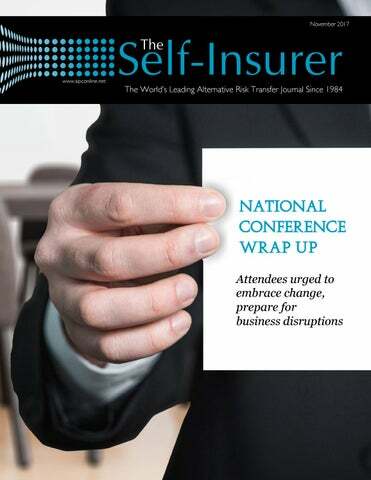 Several keynote speakers at what has become the world’s largest self-insurance industry event featuring more than 40 educational sessions addressed the importance of adapting to business disruptions. When four leading venture capitalists were asked earlier in the year about the hottest area of fintech, “all they could talk about was insurance,” noted Rich Karlgaard, editor-at-large and global futurist for Forbes. The first of three megatrends he cited in the opening keynote address was that technology isn’t slowing down, but speeding up and spreading. John Chambers, Cisco’s executive chairman of the board, has predicted that 40% of top 500 U.S. companies will fail within 10 years if they don’t keep up with changing technology and other developments, according to Karlgaard. He said that understanding these megatrends, which also include extreme valuation differences creating asymmetric warfare and adaptability, along with applying best practices, will help them dodge Chambers’ dire prediction. In a similar vein, attendees were told that all it takes is one decision to electrify – or doom – a company. Robert Stevenson, an author and nationally recognized speaker who has spoken at numerous SIIA events through the years, calls it “the Ripple Effect Principle.” The thinking behind this conceptual vision is that dropping a single pebble in still water sets in motion ripples that will affect an entire body of water. When applied to the workplace, Stevenson said passion and enthusiasm can turn individuals into ripple makers. The aim is to open better lines of communication, inspire employees to deliver more and improve retention of top talent, while at the same time increase efficiencies and profits. He cited troubling research showing that only 21% of employees are “fully engaged” in their company, which can potentially triple operating margins relative to a “disengaged” workforce. The caveat is to pay attention to the ripples so that they don’t turn into waves of destruction, according to Stevenson. customers came from referrals and the computer company figured it could generate $168 million if just 3% of its detractors could be converted into happy customers. Branch managers at Enterprise were trained to call critics within 24 hours so they can learn what needs to be fixed and avoid waves of destruction, he added. Since developing its thoughtful Enterprise Service Quality Index, he said the car-rental company went from $2 billion to $20 billion since 1994. The bottom line: customers who feel ignored or mistreated find ways to get even, therefore, he believes they need to be treated with respect and dignity. Why cyber security is critical for self-insured health plans The growing intensity of cyber warfare and its collateral damage to health care payers, providers, carriers, third-party administrators, patients and others is clearly cause for alarm. But self-insured employers can adopt a proactive approach to win this battle. “What we’ve seen trending over the past four to five years is this huge uptick in health care breaches on the provider and payer side,” reported Noah Dermer, security officer for InstaMed. For example, he noted that 16.6 million Americans were affected by data breaches in 2016, which had the most on the health care side than any year on record, while more than 3.1 million patient records have been breached so far in 2017. He said five of the largest health care data breaches were traced to hacking and IT incidents, which soared 98% between 2015 and 2016. Moreover, Dermer noted that the 88% of all ransomware attacks in the U.S. last year involved the health care industry and there has been a whopping 133% increase in such attacks in health care compared to the first half of last year. Health data breaches cost the U.S. health care industry an estimated $6.2 billion, according to Dermer, while the average total organization cost of a data breach last year was $7 million. He suggested establishing a program with vendors to ensure that data is safe and secure, as well as understanding cyber risks “because the time to exploit a weakness in your security architecture is rapidly decreasing.” With timely security patching is another essential element, he urged employers to encourage their employees to click on periodic updates from Microsoft, Adobe, Java or Apple. The trouble with trying to certify compliance as part of a checkbox-audit approach is that “it created the illusion” of cyber security, observed Ian Walters, a senior consultant of health care and life sciences for Coalfire. “I don’t have a problem with ISO,” he said. “I think it’s a fantastic framework. It’s just that that piece of paper does not stop the bad guys.” When the Health Insurance Portability and Accountability Act (HIPAA) was passed in 1996, Dermer said it didn’t directly account for or envision the notion of cloud-based computing that could leave millions of medical records vulnerable to hacking. A corollary involves explosive growth in mobile devices and apps that he said help patients navigate through their responsibilities or make payments. Indeed, Dermer referenced a significant expansion in health care payment channels. HIPAA defines three security safeguards under the APT acronym, which Walters said stands for administrative, physical and technical. The first ensures that the right administrative policies and procedures are in place. The second establishes physical controls to protect data such as an ability to distinguish staffers from contractors or visitors across multiple locations. The third ensures that from a technical standpoint, the appropriate technology is in place. Any meaningful approach to managing cyber security risk involves a team effort and continual battle waged against increasingly organized criminals with bigger resources, Walters suggests. “It’s not just the IT department that’s responsible,” he said. “It’s not just if you have a specialized health care department, and then HR and finance don’t worry about things. It’s across all streams and all disciplines that people have to be concerned with this.” Organizations are highly vulnerable to human decisions or lack thereof. For example, Walters said disgruntled employees may seek revenge or negligent employees may inadvertently click on or open questionable links or attachments that turn out to be phishing attacks. He suggested an eight-step approach to managing cyber risk. It includes establishing a governance framework; determining an organization’s risk appetite; maintaining the board of director’s engagement with cyber risk; developing supporting risk management policies; adapting a lifecycle approach to risk management; applying recognized standards, educating users and maintaining awareness; and promoting a risk-management culture. On his flight to SIIA’s conference, Dermer had an epiphany when was reading a book by Paul O’Neill about how he instilled a culture of safety when leading Alcoa. “He was very focused on physical security as it relates to employee health,” he explained. “I think you want to instill that same culture. That is, there is nothing wrong with reporting suspicious physical or security activity, or just having questions about the overall architecture of your security environment or organization itself.” How Wall Street investors view the value of TPAs Third-party administrators have captured the attention of Wall Street and other financial centers, according to a former long/ short equity analyst who joined a fastgrowing TPA that seeks to connect doctors with patients more efficiently. Vincent Esposito, chief operating officer of Endeavor Plus, Inc., invested across multiple sectors for nearly a decade until transitioning into the TPA market in late 2014 to help support an investment made by a former hedge fund boss. His former employer, Wexford Capital, managed about $6 billion in assets. With $3.5 trillion in annual spending that represents about 18% of the nation’s gross domestic product, he believes the health care industry is poised for major disruption driven by technology and creativity. This, in part, is why Kaiser estimates it could reach $5.2 trillion by 2023. There has been a nearly 250% increase in money flowing into insurance technology in recent years, he noted. To wit: the $841.5 million invested in 2014 swelled to $2.9 billion in 2016. Prospective investors in this space realize the typical U.S. consumer can no longer sustain rising out-of-pocket costs relative to wage and inflation growth, according to Esposito. “There are solutions to make health care more affordable,” he said, citing the efficiency potential of mobile apps and telemedicine, whose return on investment has been estimated at 5:1. “We need to offer innovative plan designs.” The aim of TPAs given these circumstances is to arm health plan members with the information they need to make wise choices and leverage the power of their health benefits, he explained. His firm’s proprietary approach embraces “true” consumerism alongside health savings accounts, health reimbursement arrangements, wellness incentives, value-based reimbursements and care management tools. The thesis for forward-thinking TPAs is to create value from making health care delivery more efficient, according to Esposito. With two ends of the market “crying uncle” (i.e., growing frustration among employers and employees, while providers bemoan not being paid on time), he believes the market is ripe for a revolutionary change. He said TPAs can use technology and messaging to maximize their value as health plan members continue to transition into a consumerism approach to health care. He urged TPAs to explore partnerships with hospital systems to gain market share and pursue reference-based pricing arrangements that are expected to become more popular. He also believes brokers need to be educated about RBP, which they’re resisting because of bad experiences they’ve had with this model. Are level-funded plans good or bad for the industry? As more small and midsize employers transition from fully-insured to level-funded plans in the self-insured group health arena, a panel of experts examined the merits, opportunities, drawbacks and threats of this approach. The arrangement funds a fixed amount of monthly premium, claim funding and administration. Level funding typically leverages an aggregate and/or specific stop-loss product to cap exposure to catastrophic claims. However, defining these plans isn’t necessarily cut and dried and the panelists had to split a few hairs to stress key distinctions. The bottom line for prospective TPA investors is that they need to be educated about the marketplace’s complexity, which he said is a difficult sell when they tend to gravitate toward glitzy investment targets. “TPAs have to be willing to do everything the BUCAs are doing or not doing and do it phenomenally,” he said. But the most important differentiator will be customer service in a market where everything else has been commoditized, he added. Esposito described TPAs as “big data opportunities” that can analyze claims and predict illness before catastrophic events occur. “Imagine if your adjudication platform had machine learning capabilities, where it was able to build on itself and predict outcomes, and potentially, help manage risk and allow underwriters to give you better medical factors in your plans?” Esposito rhetorically asked. it operates correctly” and isn’t a benefit guarantee, he said, adding that “the plan still has to pay.” If a claim is denied and a court orders payment, then Gillihan observed “that’s a plan liability and the stop loss carrier may not have an obligation to take care of that.” The biggest strength of level funding is that it affords employers an opportunity “to transaction from fully insured to self-funded” status, Meloch believes, adding that they still need to understand the risk and liabilities of this arrangement. Gillihan cited “some technical strengths” to level funding, though he wasn’t sure whether or not “they play out practically.” They include no obligation to provide essential health benefits, which has led to a proliferation of the skinny plans, and avoidance of the Affordable Care Act’s health insurance tax, though he suggests having to pay stop-loss insurance may make it a wash.
versus a belly button membership ID card sale, he said. An employer attendee told the panelists it was important “not to lose sight of what’s in those numbers. So let’s say you’re paying $500,000, $600,000, $700,000 a month, whatever your total is, for your employees.You’re getting a one-time lump sum, but I hope that there’s somebody on the back end, like myself, going through those numbers and making sure your stop loss isn’t going up to here for renewal for next year, because that’s the biggest problem with this.” In terms of opportunities presented by level funding, Melillo reverted back to “the core fundamentals of why a group chooses to self-fund” (i.e., reducing tax exposure and managing medical spend). For employers that aren’t ready to fully leap into self-funding, he recommended a more remedial approach involving level funding on the fully insured minimum premium. However, there are caveats to consider along the way. Employers that pursue level funding need to “understand the nature of the relationship that they’re entering into,” Archer said, including knowledge of their pooling level and plan contract. Is a camel’s nose about to slip under the tent? While panelists in the level-funding session enjoyed a spirited exchange on the use of semantics, as well as pros and cons, in describing this increasingly popular arrangement, one audience member raised an ominous scenario for everyone to ponder. Several speakers noted that “level funded” and “partially self-funded” descriptions are largely marketing terms considering that employers are either fully insured or self-funded, the attendee said. His concern is how so-called BUCAs abandoning Affordable Care Act markets in favor of administrative services only contracts that feel like fully insured plans in the smaller group market could reshape the state regulatory landscape. “They’re going to take our industry apart the minute we find one insurance commissioner that has a brain and knows self-funding,” he posed. Example: “understanding that if you’re keeping half of the aggregate, it never was aggregate and it shouldn’t have been counted toward the minimum ag rule in the state law. And the minute you funded something with a carrier, it’s now a plan asset. You can’t give it back and spend it on new computers.” What’s damaging about level funding isn’t the product he said; “it’s the misuse of it that we have to be really careful of to keep the government out of our business.” Larry Thompson, regional president of POMCO Group who moderated the session, issued a thoughtful reply. As chair of SIIA’s Government Relations Committee, he admitted to spending a great deal of time addressing this growing issue. He also noted that SIIA has a staffer who devotes all of his time to state laws and regulations. Most insurance departments don’t have a granular enough understanding of the definition of level funded vs. spec and ag, he said, though California and others have tried to limit selffunding arrangements. Why leveraging health care consumerism is one key to success For many self-insured group health plans, the key to success is motivating employees to make appropriate health care decisions that compliment various plan design features. This health care consumerism approach often results in cost savings and more efficient care. “We’re trying to get people to behave in the way they purchase health care the same way they do in every other area of their life,” said Mark Gaunya, CEO, Captivated Health. Health care consumerism is clearly a missing piece of the puzzle for self-insured employers. Consider, for instance, that the U.S. health care system was designed for government, hospitals, big pharma and the BUCAs – not individuals, according to Gaunya. The promise of the health care consumerism movement is that it educates patients, improves engagement and empowers them to make wiser choices. There are five elements of health and wellbeing: physical, financial, workplace, community and mindful spirit, according to Gaunya. By addressing all of them simultaneously, he said self-insured employers will be able to leverage the power of health care consumerism. Gaunya called health care literacy in the U.S. “abysmal” at only about 13% of the population. “Cost and quality information is available, but employees need tools and incentives, and you have to find the right providers of those transparency tools,” he said. With self-funding the only way to achieve complete price transparency, he said price variation across procedures and regions deepens consumer frustration. He related a story about his neighbor learning that a particular prescription drug had different prices at three local CVS pharmacies. His advice: use a cool app called GoodRx to help make a more informed choice. Despite such wild variations, there are signs of progress in terms of lowering prices. One area is Lasik eye surgery, which traditionally isn’t covered by insurance. Gaunya said eye care providers must compete based on cost, quality and service. He noted how the competitive balance has shifted significantly in that the procedure is now about $1,000 less than it was 18 years ago. Also, he cautioned that none of the medical billing is made transparent to patients in a group health plan prior to services being rendered. Indeed, the Catalyst for Payment Reform gave U.S. health care transparency a failed grade point average of 0.72, Gaunya noted. “I’m actually shocked that we would tolerate this level of performance,” he lamented. “Transparency is the only cure for what ails our health care system. In my opinion, it is the foundational principle of which real change would happen, and until we do it, we’re never going to get a different answer.” An equation to remember is that transparency, plus education and incentives, equal consumerism, he added. Another huge obstacle involves how medicine is being practiced. He cited several troubling statistics suggesting that 37% of diagnoses are wrong and 75% of the time the prescribed treatment didn’t even help patients. This has paved the way for companies like Best Doctors, a clinical concierge service offering second opinions, which he said had 30 million people covered on their roles in 2015 from 40 or 50 countries worldwide. 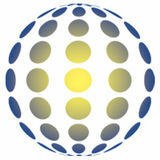 The service, which was founded by two Harvard physicians, features a network of 53,000 specialists and sub-specialists. A closer look at health care economics shows why there’s a need for more innovative products or services to help bend the cost curve. Medical trend is comprised of a unit cost (50%), service (35%) and provider mix (15%), he said, but he said it ignores the Consumer Price Index and wage growth. PARADIGM Don’t ask your mechanic RULE #12 to give you a root canal. PARADIGM Catastrophic injuries require RULE #1 catastrophic experts. He labeled rising prescription drug costs “the biggest problem in health care,” noting that the U.S. pays about 75% more on average than it should “because we are subsidizing the rest of the world relative to prescription drug costs.” Although the U.S. Food and Drug Administration will not allow group health plans to purchase drugs overseas, he said the benefit can be designed to take advantage of importing lower scripts from where they’re made. Some cost-minded employers also have used medical tourism as an alternative to the high cost of certain procedures. Closer to home, Gaunya recalls asking fellow members of the Commonwealth of Massachusetts Health Insurance Connector Authority board of directors on which he serves why they focus on rising premium vs. the underlying cost. “You would have thought I just asked how do I fly to the moon and back,” he quipped, recalling how they thought that was simply too complicated. At the corporate level, he discussed the importance of critical governing documents that include a summary plan description, TPA services agreement, stop-loss contract and employee handbook. “Most people don’t think about the handbook relative to a self-funded plan,” he explained. His point is that the document can be modified “to actually help people understand that they can make money through their health plan.” He believes the right incentives and engagement strategies will produce desired behaviors. Examples include reducing or eliminating coinsurance or deductibles, direct contracted care and mobile apps that streamline the patient experience or wellness programs. Self-insured employers also can consider alternative risk transfer arrangements. Gaunya runs a captive program that enables 33 mid-market employers with 10,000 belly buttons in seven states to share, retain and transfer risk. “The shared layer is meant to act as a volatility shock absorber,” he said. SIIA National Conference Attendees Support Self-Insurance Educational Foundation Originally established as 501(c)(3) organization affiliated with the Self-Insurance Institute of America, Inc. (SIIA), SIEF has had a vital role in supporting the self-insurance and alternative risk transfer industry for more than 20 years.The foundationâ&#x20AC;&#x2122;s mission is to raise the awareness and understanding of self-insurance among the business community, policy-makers, consumers, the media and other interested parties, and has been modernized in way to provide more direct value to those currently involved in the industry. Partners MGU Rx Savings Solutions SIPC Woolston & Tarter P.C. n August, the United States Tax Court released its decision in the case of Avrahami v. Commissioner, a highly anticipated case regarding captive insurance companies electing to use Section 831(b) of the U.S. Tax Code. While the case was decided against the owners of an 831(b) captive, the decision can serve as guidance to other micro captives using the designation. While the ruling focused narrowly on specific points regarding the captive’s circumstances, questions remain on the long-lasting affecting the industry. The Avrahami case revolved around small business owners Benyamin and Orna Avrahami and their St. Kitts-domiciled captive, Feedback, established in 2007. The Avrahami’s businesses consisted of several jewelry stores and real estate holdings based in Arizona. Ostensibly, the captive was formed to protect against terrorism risk. For federal income tax purposes, Feedback filed as a domestic corporation electing to take the 831(b) tax election. The Internal Revenue Service (IRS) considered Feedback’s tax filings as a micro captive as invalid and issued a notice of deficiency for nearly $2.5 million in taxes and penalties for taxes filed in 2009 and 2010. The Avrahamis brought the issue to the U.S. Tax Court in early 2015 claiming that Feedback was a valid insurance company and was in compliance with Internal Revenue Code (IRC) 831(b). The IRS argued that the arrangement of their captive was only for federal tax purposes—to provide substantial tax deductions—not actually insuring the businesses owned by the Avrahamis. engaging in setting up captives who may not have a background in insurance; and some have been used for substantial estate tax avoidance or wealth transfer planning. For the last three years the IRS has named micro captives to their “Dirty Dozen” list—a list the agency releases each year warning tax payers of potential tax dodges and scams. Last November, the IRS issued Notice 2016-66, which named micro captives as “transactions of interest,” and required additional financial disclosures from captives opting for the 831(b) election for the purpose of gathering further data on how these captives operate. The captive industry has been vocal in opposing the IRS’s one-size fits all approach towards micro captives. While industry leaders acknowledge that some promoters may be using the 831(b) option for non-insurance purposes, there are hundreds of captives using the election as it was intended. Referring to these small to medium-sized companies as “micro captives,” the IRS has been investigating small captive insurers that opt for the 831(b) election for more than five years. The agency suspects that some companies claiming to be captive insurers are really using the 831(b) designation as a tax dodge, especially in regards to estate planning and wealth transfer. On August 21, 2017, Judge Holmes of the U.S. Tax Court decided in favor of the IRS in the case of Avrahami vs. the Commissioner. He held that the transactions of Feedback and Pan American Reinsurance Company, Ltd.—a company used by Feedback for their risk distribution program—did not qualify as insurance companies. Therefore, the court concluded that Feedback was not eligible for the 831(b) tax deduction. However, it is important to note that the court ruled against imposing penalties in the case. He further wrote: “[The case tells] us that in deciding whether an arrangement is insurance we can also look at whether it looks like insurance in the commonly accepted sense. … To analyze it, we look at numerous factors, including whether the company was organized, operated, and regulated as an insurance company; whether the insurer was adequately capitalized; whether the policies were valid and binding; whether the premiums were reasonable and the result of an arm’s length transaction; and whether claims were paid.” The decision found that Feedback had questionable practices on all points. By focusing on the unique specifics of the set-up of Feedback, Judge Holmes’s decision is not likely to cause any sweeping changes to case law regarding captives opting to use the 831(b) election. However, it will likely strengthen the IRS’s position that these captives are being misused, and also make certain captive insurance companies take a closer look at their practices. “While the court’s decision is understandable, the ruling does not address a number of issues currently faced by the industry,” said Ryan Work, vice president of government relations with SIIA. “There are many lessons to be learned from the Avrahami case, and the decision will certainly help foster better captive practices. However, at the end of the day, it does little to advance needed guidance on other outstanding captive policy issues, from the PATH Act to Notice 2016-66.” In the aftermath of the decision, the consensus among captive advocates is for small captives filing as an 831(b) to revisit their pooling arrangements to be certain that risk distribution meets industry standards. Combining resources, SIIA’s federal and state government relations team swiftly OKLAHOMA responded to a proposed federal waiver by the State of Oklahoma requesting flexibility on Affordable Care Act (ACA) requirements allowing for the use of a reinsurance pool funding mechanism, paired with federal funding, to shore up the individual exchange with an assessment on stop-loss policies. SIIA and a number of other business organizations protested the plan as an unfair burden to small- to mid-sized self-insured employer health plans, robbing Peter to pay Paul. Oklahoma applied to the Department of Health & Human Services (HHS) and the Department of the Treasury for a Section 1332 State Innovation Waiver on August 16, and anticipated rapid approval by September 25 for the 2018 plan year. Oklahoma’s hasty effort in pursuing the waiver was subsequently withdrawn on September 29, just four days after submittal of SIIA’s comments. As part of these comments, SIIA President and CEO Mike Ferguson appealed to HHS to remove proposed assessments on stop-loss policies from the waiver application. In addition, SIIA joined with several national employer and insurance industry groups to protest Oklahoma’s inclusion of stop-loss to the Centers for Medicare and Medicaid Services (CMS), which has primary decision making on Section 1332 Waiver applications. “While Oklahoma’s waiver process will be resurrected and revised in the future, we have set out our concerns and have laid the strategic groundwork to ensure that stop-loss policies, and essentially employers and employees aren’t used as a wallet for other areas of the insurance marketplace,” said Ryan Work, SIIA vice president of federal government relations. The Oklahoma effort took the state’s selfinsuring employers and service companies by surprise when, in the final week of the legislative session, reinsurance programs and financial details, including assessment on stop-loss policies, were incorporated in a state legislative package. The Oklahoma State Department of Health’s log of public meetings lists discussion of the 1332 Task Force federal waiver project for a presentation and Q&A on August 31, two weeks following the state’s application to HHS. Earlier information from the state agency covered the concept of a health care reinsurance pool but did not include details on how it would be funded. By the time the Oklahoma self-insurance community learned of the stop-loss assessment, it was already on the governor’s desk. SIIA and the state’s self-insuring employers were pleased by Oklahoma’s peremptory withdrawal and look forward to working with the state and Oklahoma business to find alternative policy solutions. While SIIA understands state elected leaders’ desire to stabilize individual health insurance markets, funding such a proposal on the backs of small and medium-sized businesses does not make sense. SIIA’s letter to HHS took the position that self-insuring employers receive no support through the ACA structure and should thus not be required to contribute to its costs. In addition, the comments argued that assessments on stop-loss to support state pools could put many employer plans at risk. “Without stop-loss insurance, most small- and mid-sized employers would not be able to sponsor a self-insured health plan at all,” Ferguson wrote. SIIA members who wish to comment on these points or support the government relations advocacy activities on this issue are invited to contact the Washington, DC, office, (202) 463-8161 or email Ryan Work at rwork@siia.org or Adam Brackemyre at abrackemyre@siia.org. Dealing With Disaster: Issues and Relief for Health Benefit Plans has also encouraged health plan fiduciaries to make reasonable accommodations to prevent the loss of coverage following a disaster and to minimize the possibility of individuals losing benefits because of a failure to comply with pre-established timeframes. This advisory provides a brief discussion of common issues and a high level overview of the types of relief that may be available. Due to the fact specific inquiries applicable to these issues, plan sponsors should consult with benefits counsel in addressing disasterrelated situations. The DOL has acknowledged that there may be instances when full and timely compliance by group health plans and issuers may not be possible and that their approach to enforcement will be marked by an emphasis on compliance assistance and include grace periods and other relief where appropriate, including when physical disruption to a plan or service providerâ&#x20AC;&#x2122;s principal place of business makes compliance with preestablished timeframes for certain claims decisions or disclosures impossible. In addressing many health plan issues, the health insurer or TPA will be heavily involved. In other cases employers/plan sponsors will need to make judgment calls on a case-bycase basis. Issues such as the following will arise: if the business is temporarily closed and payroll is delayed, how long can/should coverage continue; if specific employees cannot return to work can coverage continue during an unpaid leave, and if so, for how long; can substantiation requirements for health and FSA claims be relaxed, and to what extent; can enrollment or qualified election change periods be extended or waived; can COBRA election periods be extended. In every case the employer/plan administrator should carefully review its insurance and contract documentation and work carefully with impacted plan administrators and carriers (including stop loss carriers) and confer with legal counsel when necessary. Leave Donation Programs Employers may assist their employees to help others cope with disaster through a leave donation program. As a general rule, employees would be taxed on the full value of any leave they donate under long standing tax concepts. If certain requirements are met the taxation may shift to the recipient of the donated leave as discussed herein. There are three different options available: (1) leave donation programs that allow employees to transfer leave to employees who are absent from work as a result of a Presidentially declared major disaster; (2) leave donation programs through which the employer makes contributions to a charitable organization; and (3) leave donation programs that allow employees to transfer leave to employees who are absent from work as a result of a medical emergency. Leave donation to employees adversely affected by a Presidentially declared major disaster After providing guidance on leave donation programs in response to various disasters, the IRS provided permanent guidance on such programs in Notice 2006-59 in the case of major disasters as declared by the President that warrant individual assistance or individual and public assistance from the federal government. Both Hurricanes Harvey and Irma have received such a designation. A disaster-related leave program of this nature allows employees to deposit leave for transfer to employees who are adversely affected by a major disaster. An employee is considered to be adversely affected by a major disaster if the disaster has caused severe hardship to the employee or a family member of the employee that requires the employee to be absent from work. If IRS requirements are satisfied, the employee donating the leave is not taxed on the value of the leave (and also is not entitled to a charitable or loss deduction for the leave). Instead, the leave is treated as compensation to the recipient, including for payroll tax (FICA and FUTA) and income tax purposes. The employer is entitled to a deduction for the payment of wages to the leave recipient (just at is would have been if the donating employee had taken the leave) and is responsible for payroll taxes and wage withholding on such amounts. In most cases, an unfunded leavesharing program will not be subject to ERISA. •	Among the requirements for such a program are the following: •	It must be in writing. Donors cannot deposit leave for transfer to a specific recipient. Rather, the donated leave must be redistributed based upon the provisions of the bona fide plan. •	The amount of donated leave must be limited to the maximum amount of leave the donor accrues during a single year (i.e., there cannot be donations of multiple years of accrued leave). •	The recipient must exhaust all paid leave available before using the leave bank. •	The recipient must request paid leave in writing, and the employer must approve the leave. Thus, a request and claims review process must be established and administered. •	The recipient must receive the paid leave at his or her normal rate of compensation (and not at the donor’s rate). applies, however, for small amounts that make accounting unreasonable or administratively impracticable.) Any leave not used after the time limit must be returned to the donors (who still are employees) on a prorated basis (amount donated in proportion to the total amount of leave donated on account of the disaster). •	There cannot be a cash-out feature with regard to the donated leave, but: (1) recipients may use leave to eliminate a negative balance that arose from leave that was advanced to the recipient, and (2) recipients may substitute leave received under the plan for leave without pay used because of the major disaster or medical emergency. •	The amount of leave available under the plan to individual recipients must be reasonable and based on need. Charitable donation disasterrelated leave programs The IRS has provided guidance with respect to leave programs under which employees elect to forgo vacation, sick or personal leave in exchange for cash payments that the employer makes before January 1, 2019, to charitable organizations for the relief of victims of Hurricanes Harvey and Irma (IRS Notice 2017-52). Such payments are not includible in the income or wages of the donating employees, employees may not claim a charitable contribution for such payments, and the employer may deduct the payments as a business expense rather than a charitable contribution. Although Notice 2017-52 does not itself contain specific guidance with respect to administration of such leave donation programs, employers adopting such a program will need to ensure they have adequate recording keeping and other systems in place with respect to the program. Employers will continue to face many employee benefit related issues during the aftermath and rebuilding process following Hurricanes and the California wildfires. Federal regulatory agencies have provided relief that may be applicable in a variety of circumstances. Determining what is needed and what relief may be available will nevertheless often require a case-by-case analysis. IRS guidance on leave donation programs that allow employees to transfer leave to employees experiencing a medical emergency dates back to the 1990s. Under such a program, employees may transfer leave to other employees experiencing a medical emergency. Many employers may have already adopted such programs; the medical emergency need not relate to a disaster. A “medical emergency” is a medical condition of the employee or a family member of the employee that will cause prolonged absence from work. The requirements for such a program and the tax consequences, are generally similar to those relating to programs that allow employees to transfer leave to other employees adversely impacted by a disaster, although there are some differences. ith the calendar year coming to a close, plan sponsors and plan administrators had been breathing a sigh of relief that renewal season will go smoothly as Congress failed to pass any major legislation affecting the Affordable Care Act this year. As with years past, however, a last-minute curveball was thrown at them that proves this year will be no different than previous years. On October 6, 2017, the Trump Administration issued two Interim Final Rules (IFR) related to the Affordable Care Act’s (ACA) contraceptive mandate. These rules apply to all employers and create additional considerations for employers sponsoring self-funded plans and their third-party administrators (TPAs). Specifically, the rule expands the types of entities that can claim an exemption or an accommodation from the contraceptive mandate on the grounds of religious beliefs or for moral reasons. Background This is not a new discussion. In 2012, the contraceptive mandate in the ACA required all employers to provide contraceptive coverage to participants on a no cost-sharing basis, in-network. Religious employers, such as churches, were exempt from the mandate and were not required to file any documentation with the government. In addition to Hobby Lobby, there was another Supreme Court case, Zubik v. Burwell, regarding the accommodation process. The Supreme Court decided not to issue a decision in the consolidated cases challenging the accommodation process for the contraceptive mandate for employers with religious objections to contraceptives. There was also an accommodation process put into place for religious organizations that opposed covering contraceptive services for their employees and students. In 2013, a self-certification form, EBSA Form 700, was created and required for selffunded health plans claiming a religious accommodation from the mandate. Multiple lawsuits were filed during this time resulting in a split among the circuits as to which entities could claim exemption from the mandate. •	Issuers that provide coverage to plan sponsors or individuals that are exempt.2 As you can see from the list, this change will permit a much larger pool of companies to carve-out certain women’s preventive care benefits under their health plans. coverage. The rules outline the process if an employer now chooses to revoke its current accommodation (which includes notifying the TPA and plan participants). Process Under Burwell, closely-held corporations that chose to opt out of contraceptive coverage could send a letter to HHS stating that they objected to offering contraceptive coverage in their health plans or they could complete EBSA Form 700, if they preferred. Under the new rules, the accommodation is now an optional process and employers can choose whether or not to provide any sort of notice or self-certification in order to inform the government of their intent to no longer provide coverage under the mandate. Employers are still responsible for notifying plan participants of any changes in coverage. The Complaint further states that implementation of the IFR will “jeopardize the health care of women in Massachusetts and nationwide, promote the religious freedom of corporations over the autonomy of women, and leave the [s]tates to bear additional health care costs both with regard to contraceptive and prenatal care as well as other services associated with unintended pregnancies and related negative health outcomes for both women and their children.”4 As of the date of this article, an Answer has not been issued by HHS. This creates questions and confusion for how to apply to the IFR. Next Steps With plan renewal season just around the corner, the applicability of this rule for self-funded plans and their TPAs needs immediate clarification. Under Burwell, the regulations required TPAs who administered the self-funded medical plan for those entities who could opt out of the mandate (via an exemption or accommodation, etc.) to otherwise arrange for these women’s preventive benefits. According to the interim final regulations, the accommodations process is still applicable but is now optional. TPAs will want to be on the look-out to ensure they have processes and procedures in place to address this accommodation process, or a revocation of a current accommodation, internally. Should a plan decide to no longer offer contraceptives, the plan must still abide by the reporting and disclosure rules of the Employee Retirement Income Security Act (ERISA). As this would be a reduction of benefits, the Summary of Material Reduction (SMR) rules would apply. A plan has to disclose a material reduction sixty (60) days after the adoption of the change. However, this post-change notification may not necessarily align with fiduciary duties and it is best to give as much warning about a change as possible. The Summary of Benefits and Coverage (SBC) rules also include distribution requirements and, in short, if a change to the plan creates the need to change or update the SBC and the change is made mid-plan year, the plan must give sixty (60) days’ advance notice. When changes are made at plan renewal, the SBC distribution requirement for open enrollment is generally thirty (30) days’ notice before the start of the plan year. These requirements may create a significant amount of administrative work and potentially be costly for the plan. Plans will need to consider the administrative burdens that will arise if coverage is no longer available, the notification requirements, and how changes could possibly affect their stop loss coverage. As a result of this regulation, there are many questions that we hope to have resolved with future guidance. Employers considering the exemption and/or accommodation will need to take into consideration the lack of guidance provided and the potential effect these unanswered questions may have on the plan and the plan participants. Employers and interested parties can submit their comments to HHS regarding the new rules throughout the comment period, which closes on December 5, 2017. Krista joined the Phia Group as a consulting attorney in 2017. Prior to working at the Phia Group, Krista worked as an associate counsel for the annuity division of a large insurance group. Krista focuses on health plan document design and the regulatory issues affecting the administration of employee benefit plans. Krista received her Juris Doctor from The Catholic University of America and her BS in Accounting from the University of Kentucky. She is admitted to the Bar of the Commonwealth of Kentucky and the State of Ohio. tions-and-accommodations-for-coverage.pdf. 3 Commonwealth v. U.S Dep’t of Health and Human Services et al., No. 1:2017cv11930 (D. Mass. Filed Oct. 6, 2017). 4 Id. ost cost-containment companies won’t pursue claims lower than $5,000, but we will. That adds up, especially when you consider more than 85% of most groups’ claims are for amounts less than $5,000. At HHC Group, we pursue the maximum available savings – with bulldog tenacity – for Great Dane sized claims down to claims as low as one dollar. In fact, our pursuit of small-dollar claims produces an average of 25% more savings for our clients than they would save otherwise. Diamond Members HM is Looking for an Experienced Senior Underwriter in Stop Loss insurance HM Insurance Group (HM) is looking for an experienced Senior Underwriter in Stop Loss insurance.You can reach out to Jeremy Amburgy at jeremy.amburgy@highmarkhealth.org or apply directly at https://jobs.highmarkhealth.org/job-details/sr-underwriter/J106323/1/ A Trusted Company HM Insurance Group (HM) is a national insurance company that works to protect employers and health care entities from the financial risks associated with health care costs. With nearly 35 years in the market, HM is among the top carriers nationally for Stop Loss insurance, protecting self-funded clients from financial loss associated with unexpected large or catastrophic claims. Similarly, HM’s Managed Care Reinsurance product line delivers optimal coverage for the financial protection of risk-bearing entities such as payers, providers and ACOs. Pinnacle is committed to our employees, to our profession, to our community, and most importantly, to you. A full-service actuarial firm, Pinnacle’s mission is simple: We’re here to provide professional expertise and superior customer service. Through data-driven research backed by clear communication, we work hard to provide substantial value to your business. You can trust Pinnacle’s commitment to look beyond today’s numbers in planning for tomorrow. 1. Responsible for a book of business of renewing accounts, or assigned volume of new applications or RFPâ&#x20AC;&#x2122;s. Utilizes various systems and tools to obtain necessary data and accurately complete and track assigned work. 2. Rating and Analysis o	Calculates rates, employs different financial arrangements, interprets pricing policy and adapts to unusual situations. o	Identifies questionable claim patterns of renewal clients and issues with competitorâ&#x20AC;&#x2122;s claims experience for prospect clients and develops recommendations to account for these situations. 3. Risk Analysis o	Applies corporate risk management policies and adjust for unusual situations that may not have been considered in the standard pricing formula. o	Identifies when clients do not comply with corporate risk management policies, disclosure rules, or conditions/criteria for enrollment. o	Recommends appropriate adaptation of policies/guidelines to accommodate client specific or individual situations. o	Analyzes member risk and engages internal departments to manage this risk. o	Supports other internal initiatives which may include but not limited to fraud detection, corporate compliance, wellness/disease management, and product development efforts. 4. Production Standards o	Completes renewals, prospect quotes, review of lower level analyst work in accordance with production and timeliness standards. 5. Effective Communication o	Communicates recommendations of policy adaptation to accommodate clientspecific situations supported by a clear rationale or management principles. o	Influences Sales and external audiences toward appropriate risk solutions. 6. Team Role o	Â Guides, assists and provides technical assistance to lower level analysts. o	As assigned, assumes primary support for maintenance of departmental tools and processes. o	As assigned, represents departmental perspectives and needs on system development and process improvement teams. 7. Other duties as assigned or requested. Actively pursuing a professional designation related to the healthcare industry and be willing to complete one course within twelve months. Skilled and knowledgeable interaction with various internal departments and external stakeholders. Ability to use applicable computer systems, electronic tools and applications. Ability to work independently and assume responsibility for projects across a continuum from routine to highly complex. Demonstrate an understanding and support of corporate and departmental goals and initiatives. Demonstrate ethical business practices with adherence to all privacy and confidentiality policies and regulations. About HM Insurance Group HM Insurance Group (HM) works to protect businesses from the potential financial risk associated with catastrophic health care costs. The company provides reinsurance solutions that address risk situations confronting employers, providers and payers. A recognized leader in Employer Stop Loss, HM also offers Managed Care Reinsurance nationally. Visit www. highmarkhealth.org. 92 percent of employees say they have great pride working at Voya. Voya Financial earned this certification after an extensive process, which included completing a culture briefing questionnaire around the company’s practices and programs, and having employees complete a Trust Index© survey. The survey, which measures the level of trust in their organization and the extent to which employees say it is a great workplace, asks employees about the company›s challenges, atmosphere, rewards, pride, communication and bosses. The independent analysts at Great Place to Work then reviewed all of the results to determine if Voya met the certification threshold, which is a 70 percent average Trust Index© score. IF YOU NEVER LEFT BOSTON . . .
WHY ARE YOU PAYING FOR PHARMACY ACCESS THAT YOUR MEMBERS ARE NEVER GOING TO USE? Are you curious about narrow networks, but concerned that you’ll have to remove convenient pharmacy locations? Voya joins the ranks of 85 other financial service and insurance companies that are also certified. Great Place to Work® provides the benchmarks, framework and expertise needed to create, sustain and recognize outstanding workplace cultures through proprietary assessment tools, advisory services and certification programs, including Best Workplaces lists and workplace reviews. Since last year›s certification, Voya has conducted focus groups to gain insight on its health care offerings and released a financial wellness survey to help improve employees› financial futures, both of which enhanced practices and services provided to employees. The company also announced an employee value proposition — a unique set of offerings or attributes that characterize how Voya differentiates itself from competitors and drives the employee experience. About Voya Financial® Voya Financial, Inc. (NYSE: VOYA), helps Americans plan, invest and protect their savings — to get ready to retire better. Serving the financial needs of approximately 13.6 million individual and institutional customers in the United States, Voya is a Fortune 500 company that had $11 billion in revenue in 2016. The company had $517 billion in total assets under management and administration as of June 30, 2017. With a clear mission to make a secure financial future possible — one person, one family, one institution at a time — Voya’s vision is to be America’s Retirement Company®. Certified as a “Great Place to Work” by the Great Place to Work® Institute, Voya is equally committed to conducting business in a way that is socially, environmentally, economically and ethically responsible and has been recognized as one of the 2017 World’s Most Ethical Companies® by the Ethisphere Institute, as well as one of the Top Green Companies in the U.S., by Newsweek magazine. For more information, visit voya.com. Follow Voya Financial on Facebook and Twitter @Voya. Silver Members 6 Degrees Health adds Rob Archibald as Chief Technology Officer, Jill Miller as Vice President, and promotes Neal Franzer to Vice President 6 Degrees Health is pleased to announce the addition of Rob Archibald as Chief Technology Officer, the addition of Jill Miller as Vice President, and the promotion of Neal Franzer to the position of Vice President. Rob Archibald brings over 15 years of experience as a Software Architect and Engineer for the technology giant, Intel. In addition to his experience at Intel, Rob served as Chief Technology Officer for the startup EndFirst. Rob is excited to expand the industry-leading MediVI platform to keep 6 Degrees Health on the forefront of healthcare innovation. Jill Miller is a seasoned claims and contracting veteran, with over 15 years of experience at a national Centers of Excellence transplant network. Jill brings a wealth of industry experience to 6 Degrees Health and will be primarily focused on further developing our Transplant and Specialty network. Neal Franzer is one of 6 Degrees Health’s first employees and has established himself as a key member of the team. Recently, he has transitioned his responsibilities to ensuring the flawless onboarding of new clients. Neal is widely loved and respected by 6 Degrees Health’s clients, and exhibits a clear passion for the company’s mission. “6 Degrees Health is a collection of talented professionals who believe in reshaping the healthcare landscape, one client at a time. These three individuals are some of the best at what they do, and we are very fortunate to have them as part of the 6 Degrees Health family. The market can expect great things from this group of people,” said Scott Ray, CEO of 6 Degrees Health. “If your attending SIIA this fall, come by booth 609 and say hello”. About 6 Degrees Health 6 Degrees Health is built to bring equity and fairness back into the healthcare reimbursement equation. Our cost containment efforts utilize MediVI technology, which supports our solutions with objective, transparent and defensible data. Services include provider market analyses, reasonable value claim reports, specialty networks, claim negotiations, referenced based repricing, and direct contracting. For questions or a system demo, contact Heath Potter, Senior Vice President, 6 Degrees Health at heathpotter@6degreeshealth.com, 503-640-9933 ext. 102 and visit www.6degreeshealth.com. Polsinelli Names Shareholder Michelle Clardy Dobbs Director of Pro-Bono Services Expanding the Am Law 100 firm’s deep philanthropic commitment, Polsinelli announced the appointment of shareholder Michelle Clardy Dobbs to the newly-created position of national director of pro bono services and assistant general counsel. In this role, Dobbs will work across the firm’s 20 offices to oversee, reinforce and maximize the impact of Polsinelli’s pro bono efforts in the communities it serves. In the last year, 598 Polsinelli attorneys recorded more than 25,000 pro bono hours. “A commitment to help those in need is at the core of our firm’s culture,” Polsinelli Chairman Russ Welsh said. “Elevating Michelle to this new role will enable us to expand the positive impact of our pro bono work throughout the U.S.” Dobbs has been a litigation attorney in Polsinelli’s St. Louis office for the past 13 years where she has worked with clients to analyze issues, solve problems, and negotiate positive outcomes. She regularly defends and advocates for clients through negotiation, mediation, in state and federal courts throughout the U.S.
“Our firm has long been very active in voluntarily providing legal services to individuals and nonprofit organizations that cannot afford representation,” Dobbs said. “I am eager to reinforce and strategically focus these efforts by creating a robust infrastructure to expand pro bono participation by our attorneys.” Dobbs is also a board member at the Center for Women in Transition and has volunteered her time to many organizations, including The United Way and Big Brothers Big Sisters. Dobbs earned her J.D. from the University of Illinois College of Law and her bachelor’s degree from Illinois State University. For more information, contact Carrie Trent at ctrent@polsinelli.com. “It is indeed an honor to be recognized as one of the top workplaces in the greater Hartford region,” stated Brooks Goodison, President of Diversified Group. “In a time when health care is of such great concern to employers and employees throughout the U.S., we are extremely fortunate to have such a dedicated and caring team of professionals serving our clients.” About the Diversified Group Family of Companies Originally founded as Diversified Group Brokerage in 1967, the Diversified Group family of companies has assisted employer groups by designing, managing and administering customized, self-insured group health plans for 50 years. Based in Marlborough, CT, Diversified Group provides its clients with the information and guidance needed to control health plan expenses and generate potential savings. As an independent, privately owned and operated Third Party Administration (TPA) firm, Diversified Group has earned the trust of its clients and partners by giving health plans members and dependents true cost transparency, peace of mind and a clear pathway to quality care that is so needed today. To learn more about Diversified Group, visit dgb-online.com today. â&#x20AC;&#x153;For too many people, healthcare just happens -- often causing frustration, expense, and lack of certainty. What Lucent Health Forms people prefer is to have someone truly listen, provide Partnership with Narus Health personal support and offer specific guidance for them and Lucent Health, a leading healthcare risk their family,â&#x20AC;? said Lucent Health co-founder and CEO Brett Rodewald. â&#x20AC;&#x153;Our management and administrative services relationship with Narus Health will help Lucent Health company, has formed a strategic partnership engage the member more at the very beginning of their with Narus Health, a highly specialized, medical journey and remain proactively engaged thereafter patient-centric care management company. in a valuable way; weâ&#x20AC;&#x2122;re delighted to have this opportunity Lucent Health drives innovative solutions to partner with the leadership of Narus Health and their that improves member health and reduces care delivery team.â&#x20AC;? cost for self-insured employers. Lucent Healthâ&#x20AC;&#x2122;s partnership with Narus helps employers curb unnecessary expenses while simultaneously improving the healthcare experience for employees and their caregivers. In his career as a CEO, Rodewald has experienced the same frustration as most companies who are faced with the same challenges in trying to manage rising healthcare expenditures with limited access to useful data. Lucent Health, with its collective companies, unleashes the data and provides innovative solutions to self-insured employers to aggressively manage healthcare cost. Today, Lucent Health, with its 30 plus years of experience, has a growing list of diverse clients across the U.S. managed through the Lucent Health campuses located in Nashville, Dallas, Sacramento, Denver, and Appleton. Dr. Michael Burcham founded Narus Health two years ago to create solutions that provide innovative, responsive, expert support and advocacy directly to the patient and their caregivers. technology, their combination promises to provide needed support in ways that, until now, weren’t easily possible. Not only do their results meet the needs of individuals and caregivers where they are in their healthcare experience, the service will deliver cost savings for both the member and employer. About Lucent Health Lucent Health (@LucentHealth), based in Nashville, TN and in partnership with NaviMed Capital, empowers US employers with vital healthcare plan performance data and reduces healthcare risks and costs while improving employee access to innovative healthcare services. Lucent offers a wide range of innovative technology-driven products which lead the industry, including Lucent Traditional, Lucent Clarity™ value-based payments, e2 MEC/MV™ solutions, Lucent Vista™ level funded, Lucent Tribia™ a tribal enterprise health plan and Lucent Surity™ for captives. Contact Mark Ware at a mark.ware@lucenthealth.com and visit www.LucentHealth.com, LinkedIn and Twitter.